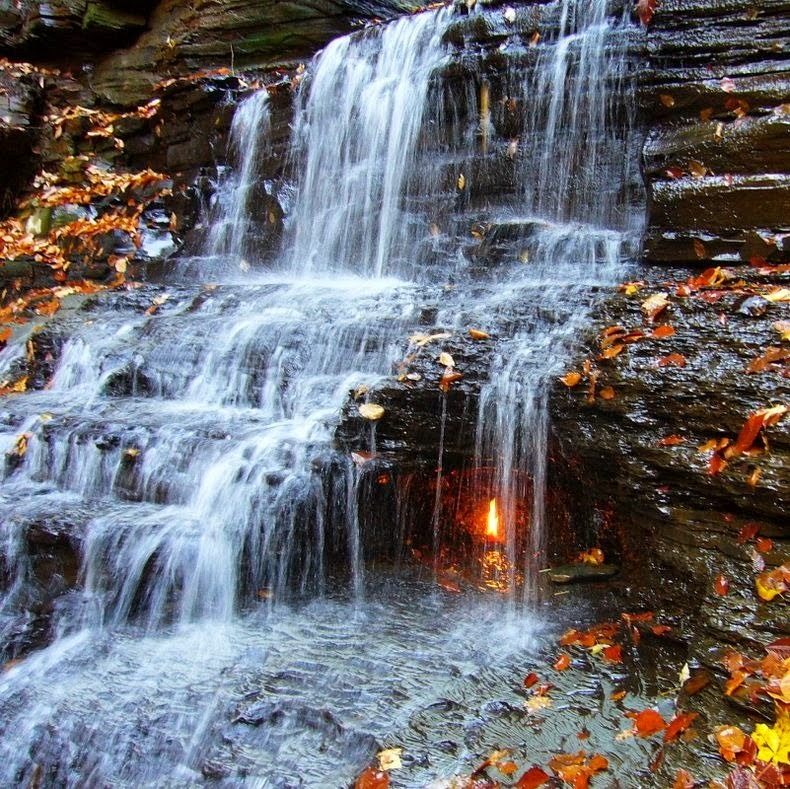 The Eternal Flame Falls is a small waterfall located at in the Shale Creek Preserve, a section of the Chestnut Ridge Park in New York. A small grotto at the waterfall's base emits natural gas, which can be lit to produce a small flame. This flame is visible near year round. It was featured in the book Secret Places by Bruce Kershner. In it, Kershner also lays a common local legend—one that claims "elf sightings"—to rest. Recent Study Reports says that Eternal Flame At Chestnut Ridge Park In Western New York Fed By New Gas Source.